>Oh my lord..this is absolutely amazing…so wonderful to see this traditional stitch being used in a contemporary way…bravo! >Thanks for all the comments! Yes, it is a lot of work…. >Wow . That a lot of work . Incredible . >I think it looks bigger than it is, because of the lighter color and more muted color of the copper! I think it look really good and I think peyote takes forever too. 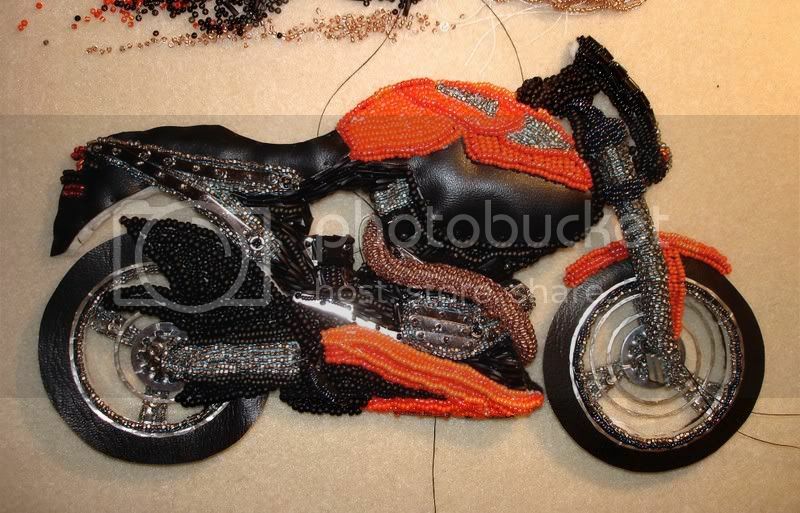 >Yes, peyote stitch definitely is more time consuming, with the adding one bead at a time!Your motorcycle is coming along beautifully. What an amazing piece of artwork! 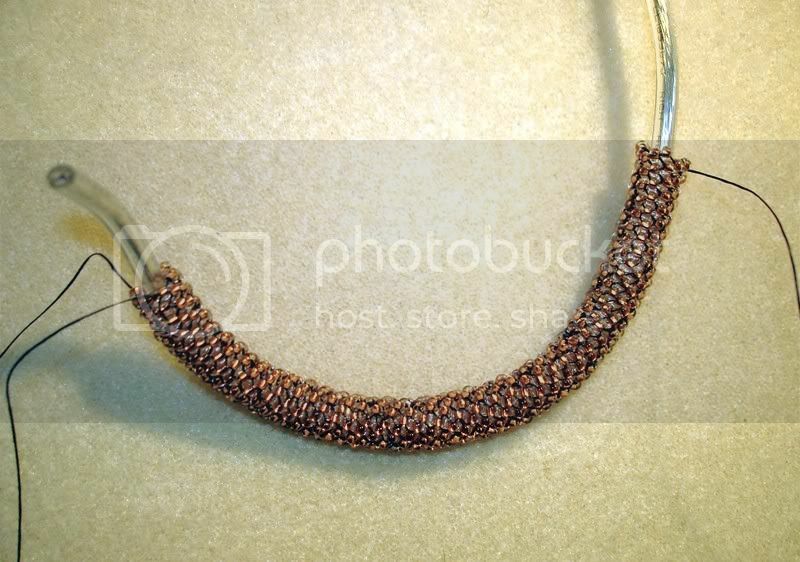 >I can’t comment on the peyote stitch issue but the copper exhaust pipe addition looks great. The dimension of the piece is incredible…wonderful to watch as it comes together.